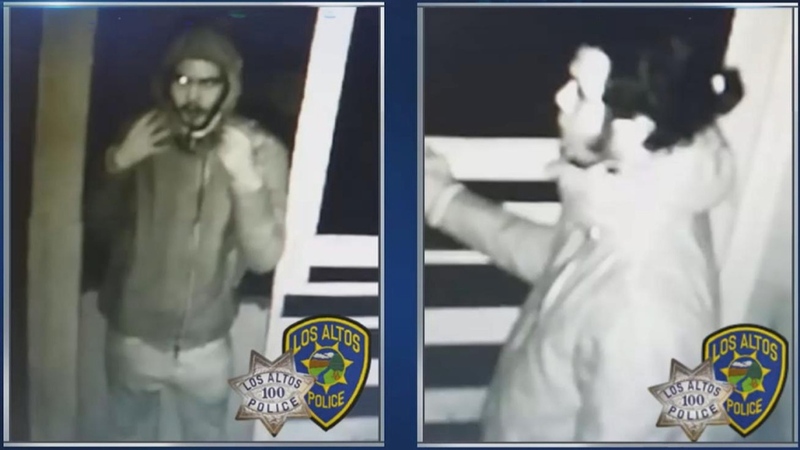 Police have released photos and a video today of two suspects wanted for burglaries at three businesses in downtown Los Altos earlier this month. The suspects broke into the businesses between midnight and 1 a.m. on Nov. 15, police said. One of the suspects is described as a man in his 20s with a mustache, goatee, thick sideburns and hair pulled back into a small ponytail, according to police. Surveillance footage of the suspects shows the hooded suspects in one of the businesses. Anyone who recognizes the suspects is asked to call Los Altos police at (650) 947-2770.